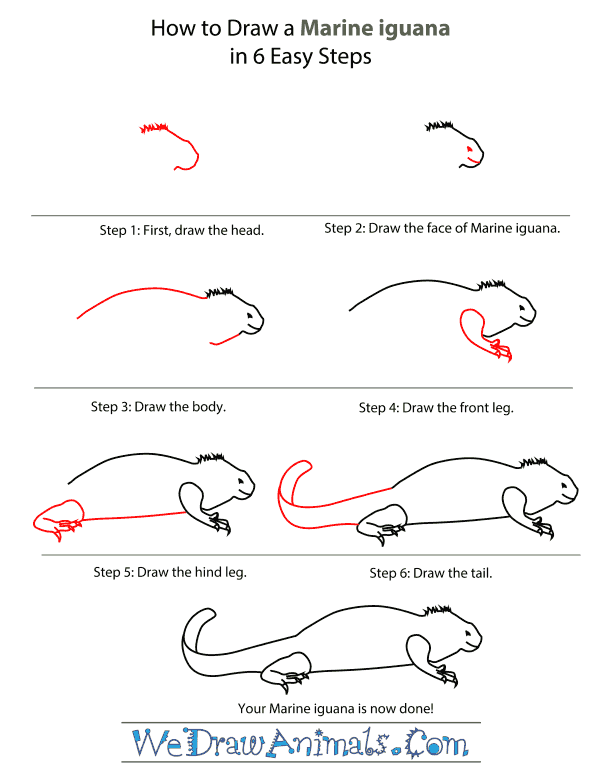 In this quick tutorial you'll learn how to draw a Marine Iguana in 6 easy steps - great for kids and novice artists. At the bottom you can read some interesting facts about the Marine Iguana. 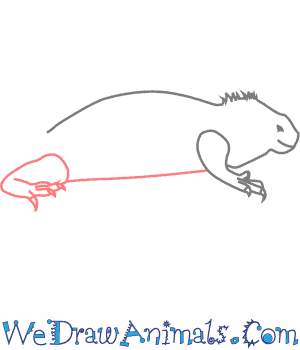 Step 1: Let's draw a marine iguana! Trace a deep curve for the face and continue the line going upward for the rest of the head. Add some hair at the top! 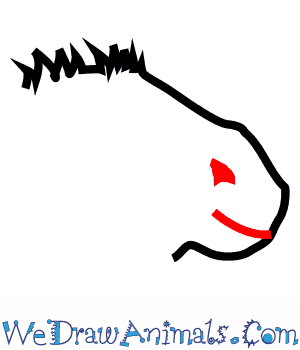 Step 2: At the front of the face, trace a short line for the mouth and fill in a circle-like shape for the eye. Here's a tip: the circle doesn't have to be perfect! 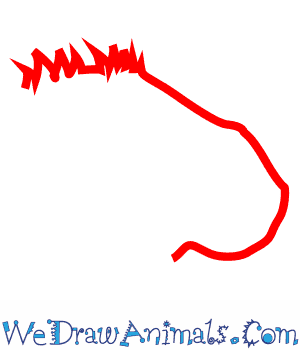 Step 3: From the top of the head, trace a long line across the back, and from the neck, trace a shorter line going back. There's the body! Step 4: For the front leg, trace an oval shape but don't close it at the end! Continue the lines to create the paw, also drawing some pointy lines for claws. 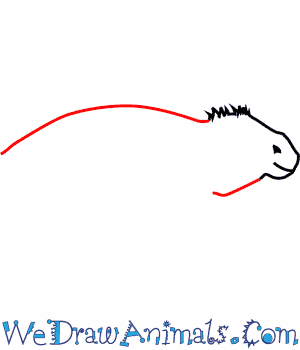 Step 5: From there, trace a line along the bottom for the belly, then draw the hind leg. Make an oval that's laying on its side. Again, don't close it! Bring the lines around to the front so that the leg really looks bent! Don't forget the claws! Step 6: Last, draw two lines going back making sure that the end is pointy. Then, from the pointy tip, draw a tube-like shape. That way, the tail has the appearance of being flat! You have yourself a marine iguana! The Marine Iguana can only be found in the Galapagos Islands. It likes to make its home along the rocky shoreline, but you can also find the Marine Iguana in marshes or beaches. 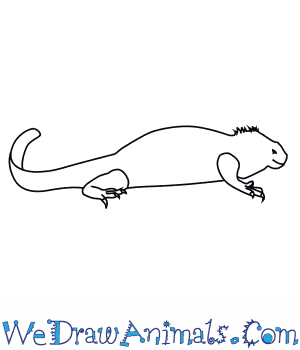 It is a rare kind of lizard because it can actually live and hunt in the sea. This makes it a marine reptile. It can even dive up to 30 feet down into the water! Charles Darwin thought the Marine Iguana was a very ugly creature. He actually called them “imps of darkness” because they were as dark-colored as the rocks. The darker colors of a Marine Iguana’s skin allow it to absorb more of the sun’s warmth after they come out of the water. This allows them to come back to room temperature without having to wait too long. Not all Marine Iguana are completely dark-colored. Some males have red and teal colors, while others may be red and black, or red and green. 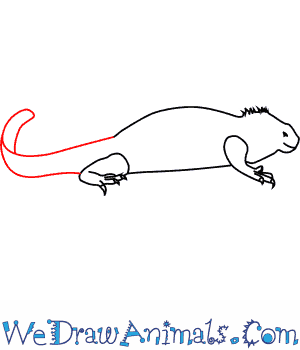 Some Marine Iguanas even have lighter colors on their bellies. The Marine Iguana is actually better at swimming than walking on land. It has a flat tail and spiked dorsal fins that allow it to move easier and more quickly through the water. 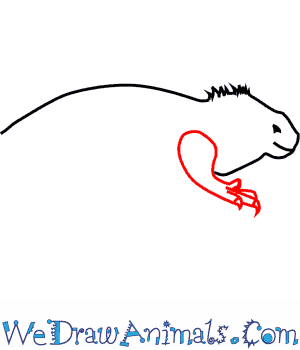 It also has long, sharp claws, which allow it to grip rocks in the water when the current is stronger than usual.